In the final series of the regular season, the Arizona Diamondbacks did something that has never been done in the history of major league baseball. Even so, they won just one of the three games against the Los Angeles Dodgers as they finished the regular season and prepare for the MLB playoffs. 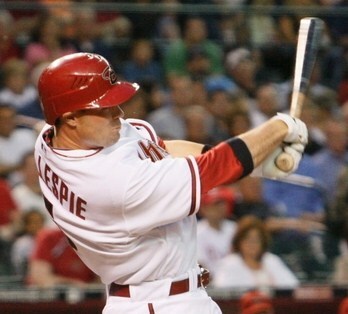 In game one against the Dodgers, the Diamondbacks lost 4-2. The Diamondbacks once again gave up early runs as Matt Kemp hit a three-run home run in the top of the first inning against Daniel Hudson. After giving up the home run, Hudson then retired 15 straight batters. Hudson gave up two more hits and hit a batter in the seventh to give the Dodgers another run and a 4-0 lead. The Dodgers tried to help the Diamondbacks mount a comeback by walking 5 batters in the bottom of the eighth, but the Diamondbacks could not get a hit and only scored two in the inning. 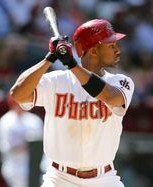 Chris Young was 2 for 3 as the Diamondbacks had just five hits in the game. The Diamondbacks loss kept them behind the Brewers by one game in the race for home-field advantage in the playoffs. Young prospect Jarrod Parker made his first MLB start in game two, and pitched 5 2/3 shutout innings for the Diamondbacks. The game was tied at 0-0 when both teams scored one run in the seventh. The game remained tied at 1-1 at the end of nine, which is when this game got interesting. The top of the tenth inning saw the Dodgers score 5 runs on two singles, a double, triple, and a walk. A throwing and a fielding error by the Diamondbacks didn’t help, as it looked like the wheels had fallen off the bus. It was so ugly that Justin Upton was hit in the head when a fly ball bounced back into play after it ricochet off the right field fence. He was removed from the game for precautionary reasons. Down 1-6, the first two batters for the Diamondbacks grounded out in the bottom of the tenth. The fans were headed for the turnstiles as a comeback seemed all but impossible. Then Cole Gillespie beat out a play at first, Miguel Montero singled, and Chris Young walked. With bases loaded, Dodgers third baseman Aaron Miles made a fielding error to keep the game alive, and scored the first D-back run of the inning. A walk to Aaron Hill scored another run, making it 3-6. Ryan Roberts made history when he sent the first pitch over the left field wall for the walk-off grand slam. It was the first time in MLB history that a team gave up five runs in extra innings and then came back to win. The 7-6 win kept the Diamondbacks alive in the race for home-field advantage in the first round of the playoffs. A win by the Diamondbacks and a loss by the Brewers in the final game of the season would give the Diamondbacks home field advantage for the playoffs. Unfortunately, the Diamondbacks got down 1-0 in the first inning, and by the seventh, were down 7-0. 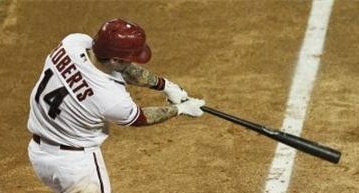 The Diamondbacks made it interesting in the bottom of the ninth when the bases got loaded with two singles and a walk. Cole Gillespie hit a grand slam for his first home run of the season. Henry Blanco followed up with another home run to close the score to 7-5. The Diamondbacks could not perform another miraculous comeback as the next two batters flew out to end the game. Starter Joe Saunders takes the loss giving up nine hits and five runs in six innings. The Dodgers ended up taking two games from the Diamondbacks in the last series of the season. The Milwaukee Brewers won their final game of the season, giving them home field advantage in the first round of the playoffs. With the regular season now over, the Diamondbacks (94-68) will head to Milwaukee on Thursday to take on the Brewers (96-66) in the first round of the playoffs beginning on Saturday. Ian Kennedy will probably get the start for the Diamondbacks as they look to steal game one. ~ by Troy Erickson Realtor on September 29, 2011.